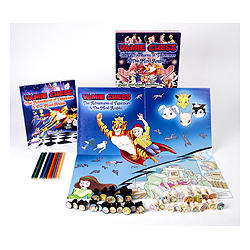 Made in America, Yamie Chess® is a Harvard and MIT math Ph.D. -backed, K-8 math learning aid for STEM education, based on classic chess and created by U.S. educators and engineers from MIT, Caltech, Columbia, Vanderbilt, Stanford and the University of Arizona. 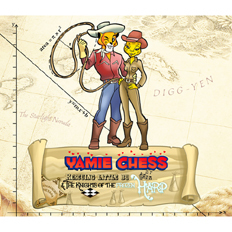 Aligned to NCTM standards, the Yamie Chess® learning product is made in America by EPI Printers Inc, the Sappi 2013 North American Printers of the Year, and developed in collaboration with 2-time United States chess champion, Jennifer Shahade, who is the company’s resident classical chess advisor. 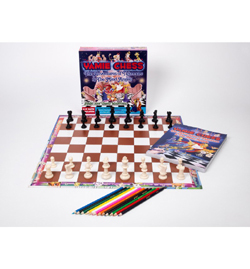 Yamie Chess has also been contributed to by International Master Jeremy Silman, who created the Wizard’s Chess scene in Harry Potter and the Sorcerer’s Stone for Warner Bros Pictures. 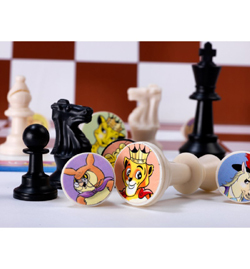 Yamie Chess is a member of the Toy Industry Association, NSSEA, ASTRA and American Made Matters with K’NEX and the Rodon Group. The company will be exhibiting at Toy Fair 2014 on Booth #5954, Ed Expo in Dallas at Booth #5248 and in the New Product Showcase, ASTRA, NCTM, NSTA and Gen Con.